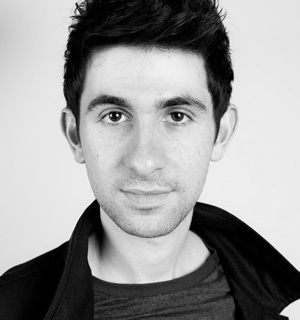 Brenton Spiteri was awarded $2,000 for the second place as well as the Arnold and Mary Bram Australian Song Prize $2,000 for best performance of an Australian song. The First prize, the Mietta Prize $5,000 was awarded to Tabatha McFadyen, who also won the Audience Choice Prize, the Murray River Music Festival Prize selected by the Festival and the O’Donnell Family Prize $4,000 for the study of Italian language and culture. Alex Raineri won the Second Prize for a Pianist $2,000. The Hugh D.T.Williamson Prize (First Prize Pianist) of $5,000 was awarded to Leigh Harrold. Aria, Queen’s Trust for Young Australians, Symphony Australia’s Young Performers Award Vocal Category, Australian Music Foundation Award (London), Countess of Munster Scholarship (London) and Lorelei Prize at Neue Stimmen International Singing Competition (Germany). In 2013, she received the Most Outstanding Singer Award in Sydney Eisteddfod’s Victoria Jennifer Warren Accompaniment Award. As a soloist, Gӧknur has appeared with the symphony orchestras in Sydney, West Australia, Melbourne, Adelaide and with Willoughby Symphony and Sydney Sinfonia. 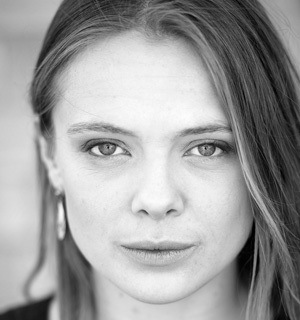 She has also performed with Opera Australia’s touring company, OzOpera singing the role of Mimì in La Bohème. After taking a break from singing, Gӧknur completed a Graduate Law Degree at University of Western Sydney. In 2013, she returned to the music profession, her performance schedule rapidly filling up. Engagements included A Baroque Evening with Handel with Countertenor Peretta Anggerek, roles in Pergolesi's Stabat Mater, John Rutter’s Magnificat, with conductor Paul Terracini and two recitals as part of Willoughby Spring Festival, and performances for Joan Sutherland and Richard Bonynge Foundation. 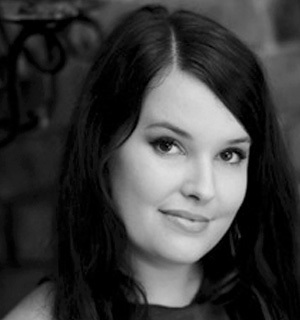 Gӧknur won the 2014 National Liederfest Competition, held in Melbourne and will release her debut CD this year. In October Gӧknur will perform the role of Lia in Debussy’s L’Enfant Prodigue for Harbour City Opera. South Australian Leigh completed undergraduate and post-graduate studies at The University of Adelaide with concert pianist Gil Sullivan. During this time he was a National Finalist in the Young Performer Awards and a recipient of the prestigious Beta Sigma Phi Classical Music Award. He moved to Melbourne in 2003 to take up a full scholarship at the Australian National Academy of Music (ANAM) under the mentorship of Geoffrey Tozer and in 2004 was made the Academy Fellow - the first person in the institution's history to be chosen as such after just one year of study. In 2008 he was named The Advertiser Musician of the Year. Leigh has performed extensively throughout Europe, North America, Africa and Australia as both soloist and chamber musician, including concerts at Australia House in London, the Royal Academy of Music, the Mozarteum in Salzburg, the Harare International Festival of Arts, and concerto engagements with many Australian orchestras. In 2007 he undertook an extensive tour of the United States and Canada where he gave lectures on and performed the solo piano music of the American composer Robert Muczynski. Internationally he has collaborated with Thomas Reibl, lecturer in viola at the Salzburg Mozarteum; Michael Cox, principal flautist with the BBC Symphony Orchestra; Daniel Gaede, ex-concertmaster of the Vienna Philharmonic Orchestra; London flautist Wissam Boustany; New York violinist Charles Castleman; Swedish cellist Mats Lidstrom; and British pianist Mark Gasser.Other significant international collaborations have included performance and studies with Andrew Ball at the London Royal College of Music; Sophie Cherrier at the Paris Conservatoire; New York-based pianist Lisa Moore and English composer Peter Maxwell Davies. In June 2002, Leigh traveled to the Orkney Islands to perform a concert of Maxwell Davies' works in the presence of the composer. 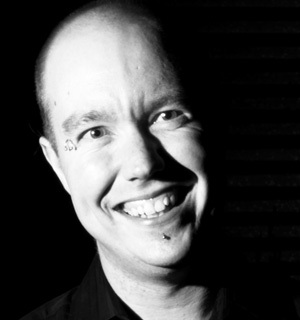 Leigh is a founding member of the Kegelstatt Ensemble and the contemporary music group Syzygy Ensemble – both winners of major national awards - and has an internationally acclaimed piano duo with London-based pianist Coady Green with whom he regularly tours through Europe, Australia and Africa. He is a recording artist for ABC Classics and in 2010 released his debut recording for Sony with soprano Greta Bradman. He is currently on the Associate Faculty at ANAM, and performs regularly as orchestral pianist with the Melbourne Symphony Orchestra. 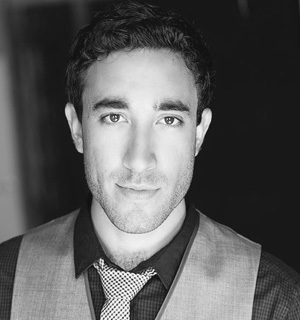 Young Melbourne tenor Brenton Spiteri is a graduate of the University of Melbourne, from which he holds a Bachelor of Arts/Bachelor of Music Performance with Honours. He was the winner of the 2012 Herald Sun Aria and has also been a finalist and prizewinner in the Sydney McDonald’s Aria, the Australian Singing Competition, Mietta Song Competition, and the National Liederfest. He was recently a soloist in Victorian Opera’s 2013 Gala Concert, and has also performed the roles of Jaquino, Fidelio (Melbourne Opera); Harlekin, Der Kaiser von Atlantis (IOpera); Bevan, Contact – A Netball Musical Drama (Melbourne International Comedy Festival); Aeneas, Dido and Aeneas; Magician, Snow Queen (Victorian Opera), Herr. Vogelsang, Der Schauspieldirektor (Opera DownUnder); King Ajax II, La Belle Hélène (Melbourne Lyric Opera); Jack, Into the Woods (Melbourne University). He has also sung in the Opera Australia and Victorian Opera choruses on numerous occasions. Concert repertoire includes the complete Songs of Travel (Vaughan Williams), and Britten’s Songs of the Chinese and English Folksong Settings as well as the tenor solos in The Seasons (Haydn), Weinachtsoratorium (Bach), Carmina Burana (Orff), Mass in C and Choral Fantasia (Beethoven), Mass in D (Dvořák), Mass no. 2 in G (Schubert) and the Great Mass in C Minor (Mozart), among others. He performs frequently at the Melbourne Recital Centre and has been a regular guest for ensembles including Melbourne Art Song Collective, Continuo Collective, Consort of Melbourne and the Heidelberg Chorale. In June 2014 he once again sings the tenor role in Orff’s Carmina Burana at the Melbourne Recital Centre, Elizabeth Murdoch Hall. Whilst studying, Brenton Spiteri was the recipient of a number of scholarships offered for excellence in vocal studies, including the Harold Fisher Memorial Scholarship and the Murray Ormond Vagg Scholarship. He has continued his training since 2012 with the generous support of the Dame Nellie Melba Opera Trust. 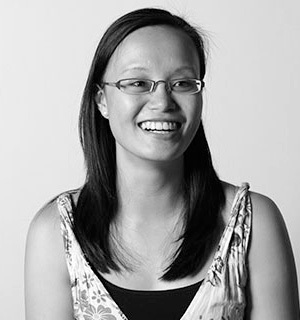 Originally from Perth, Gladys studied music and economics as a Faculty of Music Merit Scholar at the University of Melbourne, graduating in 2009, where she studied piano with Caroline Almonte.In 2010 Gladys was a répétiteur intern at The Opera Studio Melbourne, studying under Andrea Katz. That year, she also took up a two-year position as Director of Music at Queen’s College, The University of Melbourne. From 2011 to 2013 Gladys studied with Timothy Young at the Australian National Academy of Music (ANAM). In 2012, she was a member of the winning ensemble of the annual chamber music competition and recipient of the inaugural St Silas Prize for Outstanding Achievement. She was also a semi-finalist of the 2012 Mietta Song Competition. Her highlights of 2013 include tutoring piano at the Tutti World Youth Music Festival in Beijing, and performing as a soloist alongside Finnish pianist Paavali Jumppanen with the ANAM Orchestra. Gladys has also performed in projects with the Melbourne and Tasmanian Symphony Orchestras.  Other recent professional appearances include the Australian Festival of Chamber Music, Port Fairy Spring Music Festival and Synaesthesia at the Museum of Old and New Art in Hobart. During 2014, Gladys is a Fellow at ANAM and maintains a busy portfolio career as a freelance musician based in Melbourne. Jacob Lawrence recently completed a BMus at the Melbourne Conservatorium of Music under the tutelage of Anna Connelly. This year, he undertakes an honours year on scholarship at Melbourne. He performs frequently as a soloist with many of Melbourne’s leading ensembles including the Consort of Melbourne, La Compañia, the Australian Chamber Choir, Gloriana, e21 Vocal Ensemble, Consort Eclectus, the Royal Melbourne Philharmonic Orchestra and the Team of Pianists. This year, Jacob was runner-up in the Australian National Liederfest. He also performed the role of Alcindo in Pinchgut Opera’s production of Vivaldi’s La Ninfa e il Pastore for ABC Sunday Live at Goossens Hall, Sydney, and will appear again with Pinchgut in December in Gluck’s Iphigéne en Aulide. He performed as the Evangelist in three performances of Bach’s Johannespassion in Melbourne and Sydney, and as Aeneas in two productions of Purcell’s Dido and Aeneas with the RMPO, and the Peninsula Summer Music Festival, opposite Fiona Campbell. He also sung Britten’s last orchestral song cycle, Nocturne, with the Melbourne University Symphony Orchestra. College-Conservatory of Music, studying with Australian collaborative pianist Ken Griffiths. Patrick has also co-devised theatrical works for children and adults including a season at the Famous Spiegeltent writing, playing and acting with Antoinette Halloran in 50 Shades of Opera. Patrick has performed premieres of songs by Australian composers such as Stuart Greenbaum as well as Australian Premieres of experimental works such as Jerome Kitzke’s Sunflower Sutra. Wesendonck Lieder in his early teens. Patrick divides ongoing work as a pianist and organist with a career in human rights as the Director of Aid at the Asylum Seeker Resource Centre. Jade has been the recipient of many awards and scholarships including: the IFAC Australian Singing Competition’s Marianne Mathy Scholarship, the Joan Sutherland Memorial Vocal Scholarship, finalist in the McDonalds Aria Competition, the Opera and Arts Scholarship, and the Herald Sun Aria Competition (all in 2013). Jade has also been the recipient of the Nelly Apt Scholarship, the David Harper Prize, and Linda Edith Allen Undergraduate and Postgraduate scholarships (QCGU). Butterfly, and makes her debut with Opera Queensland as Diane in Philip Glass’s The Perfect American later this year. post-graduate studies in accompaniment and piano performance in Sydney and Madrid. Philharmonic Orchestra. Bradley has given solo and chamber music recitals across Australia and in South Korea, Spain, Italy and the United Kingdom. Bradley broadcast two solo programmes for the ABC Young Australia program. 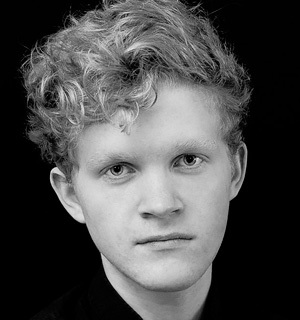 Bradley enjoys chamber music and has performed in a variety of ensembles but has specialised in piano trio and flute and piano duo repertoire. 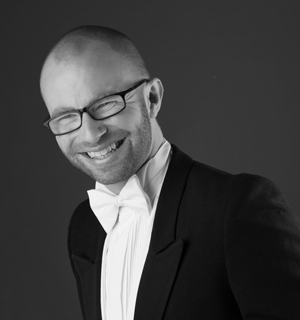 As repetiteur, Bradley’s early interest in ballet repertoire has extended to opera and has been repetiteur for many of Sydney’s chamber opera companies as well as being in demand as an accompanist and vocal coach for auditions, recitals, examinations and concert performances. Karen graduated with First Class Honours from the ANU School of Music in 2010, and in 2013 from the Mozarteum in Salzburg, Austria where she studied with Ms Barbara Bonney. 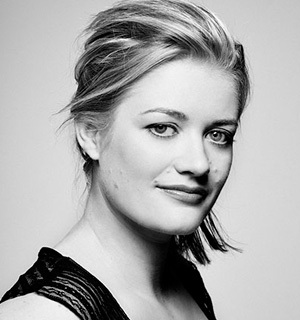 In concert, Karen has appeared as a soloist with the Sydney Philharmonia Choirs, Canberra Choral Society, Oriana Chorale, the Canberra Symphony Orchestra and UC Chorale (conducted by Tobias Cole), for which she won a Canberra Critics Circle Award in 2009. 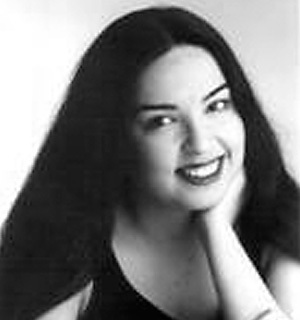 On the stage, Karen has sung the roles of Pamina (Die Zauberflöte), Abigail (Grimm and the Blue Crown Owl), Belinda (Dido & Aeneas), Coridon (Acis & Galatea) and Kelly in the Australian premiere of American composer Jeremy Beck’s Black Water at the Adelaide Fringe Festival before touring it in Australia, Malaysia and Singapore. In 2011 Karen completed a national tour with Co-Opera as Susanna in their production of The Marriage of Figaro, touring to Germany, Austria and Switzerland in May 2012. In 2013 she performed the role of Aurora (La Morte D’Orfeo) with The Harp Consort in St Petersburg, Russia, and Belinda (Dido & Aeneas) at the Peninsula Summer Music Festival in Victoria. Karen has given art song recitals for ArtSong Canberra, and in 2012 performed a programme of excerpts from original scores on loan from the Berlin State Library for the National Library of Australia’s Handwritten exhibition. In 2013 she gave concerts in Graz (Austria) and Florence. Karen has recorded two solo recitals for ABC Classic FM, and was a featured artist on their Saturday Afternoon Concert program in 2011. 1 ¿Con qué la lavaré? Her many Australian Awards include the 86th Herald Sun Aria, the 2014 MOST Opera Awards 4MBS Performance Prize; the 2013 MOST Opera Awards Royal Over-Seas League Prize; the 2013 Acclaim Awards Italian Fellowship Award; the 2012 Melbourne Welsh Male Choir Singer of the Year Competition; and the Austral Salon National Scholarship. In 2012 Lee was nominated for a Green Room Award for her performance as Valencienne in Lehar’s Merry Widow for Melbourne Opera. Lee has been heard regularly in performances recorded by ABC Classic FM; and appears on Qantas In-Flight Entertainment singing Richard Strauss Four Last Songs with Omega Ensemble. 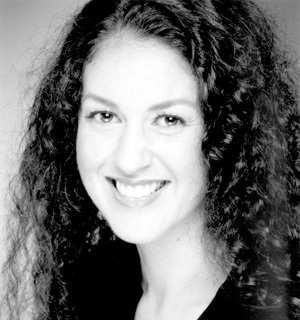 Lee has appeared as principal artist with Melbourne Opera, Victorian Opera, Lyric Opera Melbourne, Opera and CoOpera. Roles include: Elisabeth in Tannhäuser, Konstanze in Die Entführung aus dem Serail, Marguerite in Faust, CioCioSan in Madama Butterfly, Mimi in La Bohème, Violetta in La Traviata, Micaëla in Carmen, Elvira in I Puritani, Valencienne in The Merry Widow, Leila in The Pearl Fishers, Title role in Stella by Marshall-Hall, Clotilde in Norma, Adele in Die Fledermaus, Suor Infermiera in Suor Angelica, Lisa in La Sonnambula, Fifth Maid in Elektra, Clorinda in La Cenerentola and Olympia in Erwin und Elmire by Anna Amalia. Recent Concert engagements in Australia include: Richard Strauss Four Last Songs (Chamber version by James Ledger) with Omega Ensemble at City Recital Hall, Angel Place; Richard Strauss’ Elektra singing Fifth Maid with Sydney Symphony at the Sydney Opera House; Mahler’s Fourth Symphony (chamber version by Klaus Simon) with Omega Ensemble at City Recital Hall, Angel Place; Richard Strauss’ Vier Letzte Lieder with Queensland Symphony Orchestra; Bellini’s Norma singing Clotilde with Victorian Opera; and Berlioz Les Nuits D’ètè with Melbourne Sinfonia. Concert engagements overseas include: Recitals at St Martin in the Fields (London); Edinburgh International Festival (Scotland); a Recital tour spanning numerous cities in China; and a Recital in Tokyo, Japan for the International Double Reed Society Conference. Mass, Paukenmesse and The Creation; Mark Isaac’s Chamber Symphony; Mendelssohn’s Elijah; Mozart’s Exultate, Jubilate!, Coronation Mass and Requiem; Rossini’s Petite Messe Solennelle; Saint-Saëns’ Requiem; Schubert’s Salve Regina; Paul Stanhope’s Songs of the Shadowland; Verdi’s Four Sacred Pieces; Vivaldi’s Gloria. 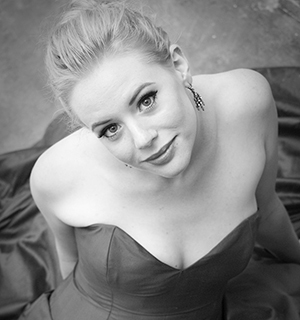 In 2017, Lee makes her company debut with Opera Australia in Le Nozze di Figaro singing the Countess; and appears in recital with Omega Ensemble at City Recital Hall, Angel Place. Visit www.leeabrahmsen.com for all future performances. Amir Farid completed a Bachelor of Music (Honours) and Master of Music degree at the Melbourne Conservatorium of Music, University of Melbourne and has been working and developing under the guidance of Professor Ronald Farren-Price. He attended the Australian National Academy of Music where he studied with Rita Reichman, Geoffrey Tozer and Timothy Young. In 2009, he graduated with distinction as a Scholar supported by the Gordon Calway Stone Memorial Award at the Royal College of Music London, studying with Andrew Ball. He has performed concerti with the Sydney Symphony, Melbourne Symphony, Melbourne Chamber Orchestra, Orchestra Victoria, Australian Youth Orchestra, Melbourne Youth and ANAM Orchestras, including Rachmaninoff’s 2nd Piano Concerto at the Sidney Myer Music Bowl. 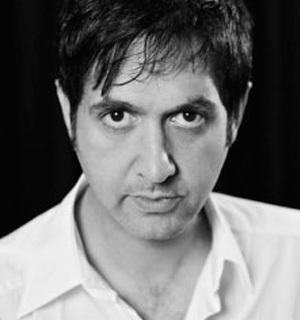 As a chamber musician, Amir is pianist of the Benaud Trio winning the Piano Trio prize at the 2005 Australian Chamber Music Competition, and with whom he undertook a residency at the Banff Centre for the Arts in Canada. As an accompanist, he was winner of the prize for best pianist at the 2006 Mietta Song Recital award, and the 2007 Geoffrey Parsons Award. In 2013 he was awarded the inaugural Dame Nellie Melba Opera Trust Repetiteur scholarship. 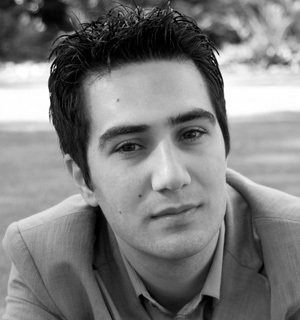 Amir is the recipient of various awards and scholarships, including the 2006 Australian National Piano Award Australian Music Foundation, the Ian Potter Cultural Trust, the Royal Overseas League, the Swiss Global Artistic Foundation, the Tait Memorial Trust and the University of Melbourne’s Donovan Johnson Memorial Scholarship. American concert debut with Atlanta ensemble Chamber Cartel in Boulez’ Le Marteau sans Maitre and the national tour of Timeline with ACO/The Presets. Competition highlights include winning the MCM Acclaim Italian Opera Fellowship allowing her to spend last month studying in Italy, first prize in the 2012 RMP Aria and Armstead Award, runner up in the 2013 Great Romantics Competition and the 2012 Mietta Song Competition. She will soon appear as Elsa in the world premiere of Mayakovsky with the Sydney Chamber Opera before relocating to London to commence a Masters at the Royal Academy of Music. 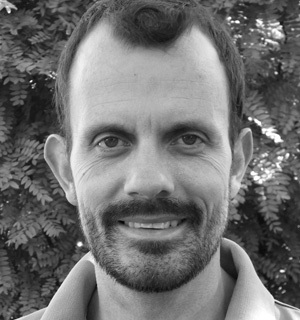 Michael Curtain is a repetiteur at Opera Australia, and is the musical director for their touring schools program which, in 2016, will present Humperdinck’s Hansel and Gretel to thousands of primary school children across NSW. Michael has performed with the Australian Opera and Ballet Orchestra, the Sydney Symphony Fellowship, Sinfonia and Sinfonietta, the SydneyPhilharmonia Choirs, and the Strelitzia Ensemble. He has performed in concert with many of Australia’s leading singers, including Cheryl Barker, Amelia Farrugia, Lorina Gore, and Natalie Aroyan. Michael has been an official accompanist for the McDonald’s Sydney Eisteddfod and the Joan Sutherland & Richard Bonynge Foundation. Michael studied piano performance and accompaniment with David Miller AM, Clem Leske, and Natalia Ricci at the Sydney Conservatorium of Music.